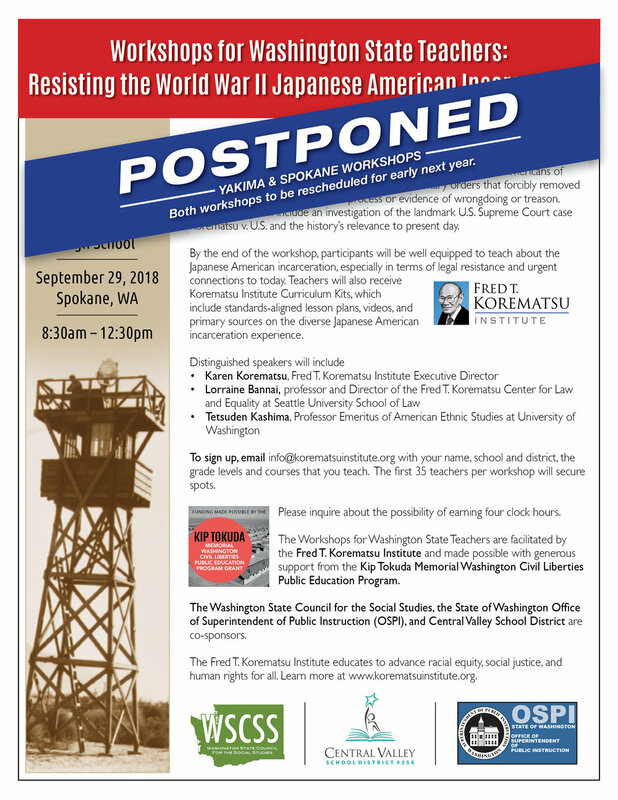 Join us for a discussion on United States policy surrounding refugees and asylum seekers. The Supremacy Clause of the United States Constitution establishes that the Constitution, federal laws made pursuant to it, and treaties made under its authority, constitute the supreme law of the land. As a signatory of the United Nations 1967 Protocol Relating to the Status of Refugees, and through the United States Refugee Act of 1980, the U.S. has legal obligations to individuals who are seeking asylum. What are these obligations? Does the current administration’s policy on asylum seekers pass Constitutional muster? What rights and civil liberties should be accorded to asylum seekers? What ramifications might current policy on asylum seekers and refugees have on our nation’s international standing? 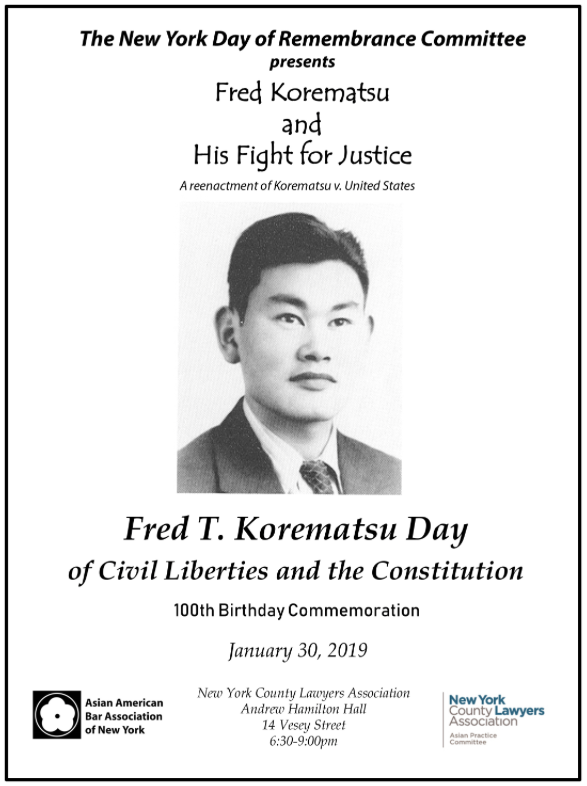 Civil Liberties and the Constitution Day in Hawaiʻi honors individuals committed to protecting the civil rights and liberties of all. 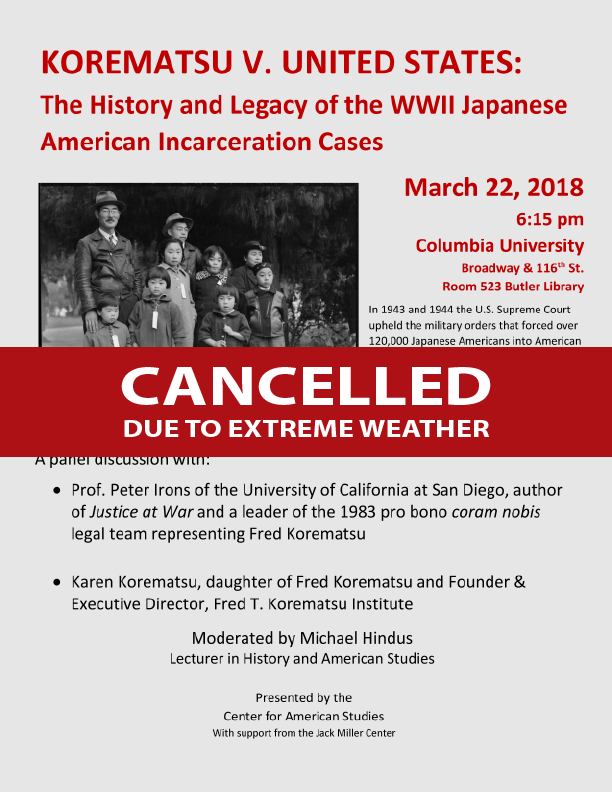 January 30, 1919, was the birthdate of Fred Korematsu, who challenged the constitutionality of imprisoning Japanese Americans during World War II. The winners of the 2018 HSBA Civic Education Committee's calendar contest will also be announced and recognized. Please RSVP by Monday, January 28, 2019, or call 539-4999 if you require accommodation for a disability. Sign-up on Evenbrite! It is quick and easy to do! Click on this link below. 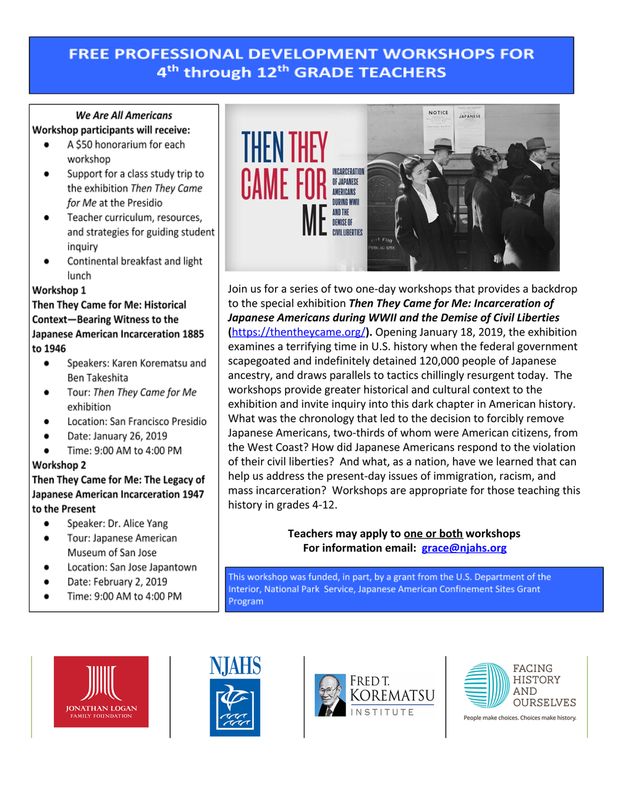 Join us for a series of two one-day workshops that provides a backdrop to the special exhibition Then They Came for Me: Incarceration of Japanese Americans during WWII and the Demise of Civil Liberties. 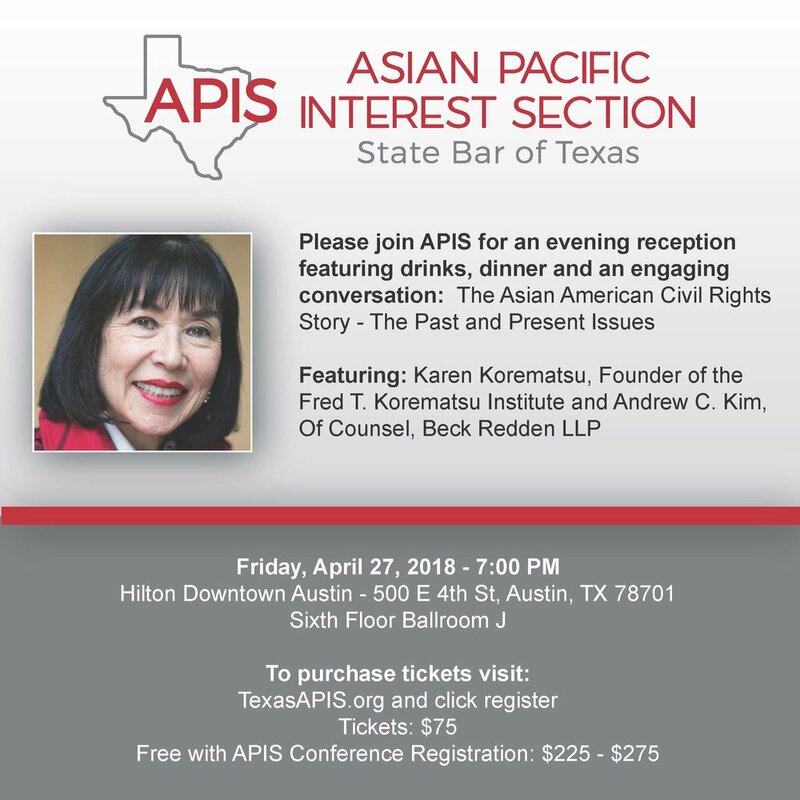 For more information or to regester, click on the link below. 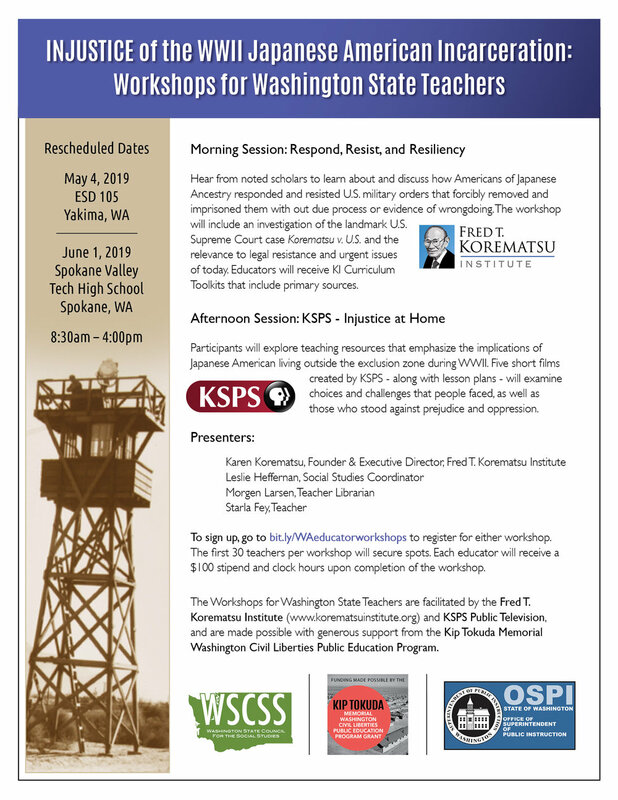 Workshops for Washington State Teachers: Resisting the World War II Japanese American Incarceration has been postponed.